Shopping at our Lexus dealership near Salina, KS, is the right move to make. We ensure that the needs of the customer are first and foremost in the minds of all of our employees, and we work hard to provide each and every one of our visitors with the assistance they seek. We’ve also created a premier shopping environment where people can receive the same kind of luxury and comfy accommodations that Lexus vehicles so famously provide. We do our best to make sure that shopping at Lexus of Wichita is not like shopping anywhere else. In addition to all of the premium new and used Lexus models have to offer, we provide our clients with a laundry list of benefits and perks. Shop at the onsite boutique for premium accessories and apparel. Spend some time in our guest lounge, with comfortable seating, today’s newspaper and other reading materials, courtesy iPads with pre-loaded entertainment and complimentary Starbucks coffee and tea. Get some work done as you wait for your vehicle to be serviced in our business center with high-speed internet on multiple computers, complimentary Wi-Fi, convenient fax and copier service and more. When it comes to Lexus service, we offer an unparalleled experience for both you and your vehicle. If your Lexus needs factory authorized repairs, we have courtesy loaner Lexus vehicles by appointment. We also offer concierge services – we’ll set up appointments for you at the local spa or salon, we’ll help you with your shopping needs, pick up your dry cleaning and more within 15 miles of Lexus of Wichita or 10 miles of Wichita Mid-Continental Airport. Other perks of owning a Lexus from Lexus of Wichita include complimentary multi-point inspections and car washes. 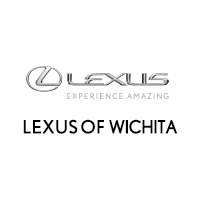 Visit Lexus of Wichita at 1555 North Greenwich Road, Wichita, KS, 67206, so you can capitalize on the many, many benefits of our Luxury Experience. We hope to see you soon!